Are you starting to plan a wedding and are completely daunted by all the planning, not to mention wondering where on earth to have your reception and/or hotel room block for your guests? Well, this is your lucky day - Experience Columbus can assist you with your wedding planning needs! Our convention sales team can assist with your hotel room block for your guests. All we need is some basic information and we can send a lead out to a number of our member hotels in any area of the city asking for proposals. We can then compile all the proposals and create an overview grid so you can easily view room blocks, rates and other details all on one page! If you’re all set on your room block, our convention services team can then help you find a unique reception venue. Better yet, they can offer referrals for caterers, photographers, florists, bakeries, DJs and more, all from our extensive member database. You’re probably thinking that sounds amazing, but what is the catch?! There isn’t one! 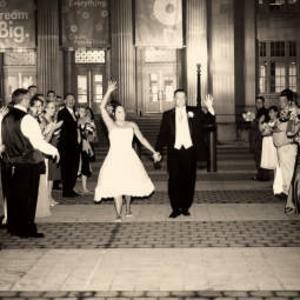 This is a free service that we offer the brides-to-be in Columbus. We only ask that you let us know where you decided to have your room block or wedding or what referral you used! Get started today by filling out an online Request for Proposals here. For more information follow us on our new Twitter account, @ExpColsWeddings or check our website.